There are many internet advertising methods out there. The key is to find the best combination of methods that work effectively for your company. As a small business owner, you maybe working with a limited budget when it comes to advertising. Even though you have little to work with, you still need to get your brand out there where consumers will discover it. the following three internet advertising methods can help you entice new business while establishing yourself as a serious competitor and industry expert. 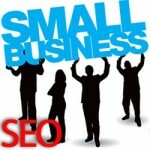 There are many ways internet advertising with a blog can grow your business. The blog offers a unique platform that gives you total freedom to add whatever content you feel is appropriate. You can even maintain a handful of blogs, provided you have the time and energy to do so. This is important because you should always maintain a regular blog schedule that permits high quality posts on scheduled days. As long as readers know when you will be updating, they will be more likely to visit and see what new things you have added. If you do not adhere to your update schedule, visitors may become disinterested and stop returning. Try to create a blog that will interest your readers. This may vary depending on what industry you are in and what kind of persona you would like to build for your business. If appropriate, a bit of humor can go a long way. Providing information, advice and suggestions are also highly recommended. Always make sure you have links to your website on your blog (and to your blog from your website) as well as any social networking profile links. Pay per click, or PPC campaigns can be very profitable if executed correctly. This is a very popular internet advertising method. The idea is that you purchase ad space and only pay when someone actually clicks on it. Google’s AdWords offers a service like this that gives you total control over how much you spend. You can set a daily limit or allow the clicks to keep on coming. This method requires some keyword research beforehand as well as ongoing monitoring to see which campaigns are the most lucrative and which are not. Many third party websites maintain databases of articles posted by users. These can be posted for free, however some sites are stricter than others in terms of quality and content. You can create informative articles and post them to these databases along with links back to your website or blog. A good example of this is www.ezinearticles.com. Readers who enjoy or benefit from your articles will be enticed to click and see what else you have to offer. Internet advertising with articles can be very inexpensive, but will require more time to create high quality content. Quality is important because you want to encourage the reader to visit your site rather than move on to the next article and you get the added benefit of the extra link to your website.